We see the United States flag everywhere. It is the flag that everyone recognizes. The flag waves over Public Institutions and Federal Office Buildings. But you can also see it waiving over private residences. The American flag is the symbol of a strong nation. You can see a blue canton with fifty white stars on it. That symbolizes the union of all 50 states of America. The flag had firstly only thirteen stars, being modified while more states were conquered. You can also see that there are thirteen stripes in red and white colors. They represent the colonies of the United Kingdom which declared independence from their own kingdom. To honor the history of a so big nation, you need to fold the United States flag properly. Here is a guide that will explain to you how to do it step by step. Arrange the flag as the blue square is on the left, representing the upper half of your flag. Then, fold the flag as the striped section is covering the blue one. It is important to do it correctly from the beginning. Because the best result will appear if you pay attention. If you think you cannot manage by yourself, you can get the help of some friends. Remember the first step? Step 2 is a remake, only you need to take into consideration the following. Start folding from the lower part of the flag. So, fold the folded part over the open edge one. You should now have a long-folded flag with only 25% of it visible. See? It is not that hard. I bet everyone can do it. Only a few more steps! You should have the flag arranged as at the beginning of the process. The blue square on your left and the folded part that has met the open-edge one. Now, pay attention. In the next step, you need to form a triangular. Start by folding the striped corner of the folded edge. Bring it to meet the open edge. It is a custom step you need to make and cannot skip. It may seem that things get a little more complicated. But, if you carefully follow these steps, you will manage to do it. It is like a writer wants to write a book or like a student is writing an academic assignment. They follow some steps to get the best result. So, you must have a triangle formed in the right part of your flag. Now, you must do one more triangle and the process is similar. You need to turn inward parallel the exterior corner of your flag with the open edge line. This way, you have formed a new triangle. Since we have observed the pattern of forming triangles, we continue this way. Always keep in mind to pay attention to the details. The flag is offered for free. Especially for the ones who have done military service and served the country. So, take the upper part of your flag, the open-edge one and fold in to meet the folded part of the flag. You will see that the shape of the triangle is preserved if you fold the flag correctly. Always remember that the final shape of a correctly folded flag should be a triangle. So, for the next steps, you need to repeat the process without altering the shape. Also, it should be visible only the blue part of the flag. So, if you can see the white and red stripes, it means that something went wrong on the way. Do not cheat. Like the thought of plagiarism when you run out of ideas for your written essay. No, you cannot do that. It is not moral, nor ethic. The same goes for folding the flag. It represents the strength of those who have fought for the country. And for those who are still fighting, even though are not enrolled in military service. You will see that on special events and National Days a lot of American flags will be waving over buildings. Whether it is a private residence or the Capitol Building, the flag symbolizes a united and strong nation. A nation that managed to abolish slavery and rise from the ashes. If you do not have a United States flag, you find online a lot of affordable offers. You might find some for free on forums. You can offer it as a thankful present to someone who honored the values of the nation. And if you think these steps are too hard to follow by yourself, ask for help your friends. It is like in school. You wrote your essay but asked for help a custom writing service to proofread and edit it. The first time is harder, but practice makes it perfect. Always remember that there is a special day on which we honor our national flag. Some example might be Memorial Day or Veterans Day. And every fold you make symbolizes something. From the symbol of eternal life to the desire to help obtain peace in the world. It is a tribute to men, women and all citizens that have worked alongside to form this beautiful and united nation. Previous articleU.S. 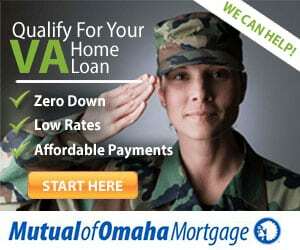 Veterans: Thousands of Dollars in Grants Available Now!